MRM Development, founded by Michael (Mick) McGirr successfully completed its first construction contract in 1979. MRM Development started as a small framing company, expanding to custom remodeling and the construction of custom homes as it stands today. Mick was born & raised in San Diego attending Clairemont High School, Mesa Junior College, and Humboldt State University. Growing up, Mick’s first job was with his mother & father at the family business McGirr’s Jewelry, Claremont’s first jewelers. Working at a young age instilled in Mick a strong sense of character and responsibility that taught him hard work, honesty and customer service. At age 13, Mick began working in the summer with his Uncle Frank at Panel Lock Fence Co. learning and performing the job of installing fences which he continued to do for several years. This was where Mick was first introduced to the construction field going out “on site” with his uncle. Upon graduating from college Mick landed a job as a framing and finish carpenter, working his way up to journeyman status. 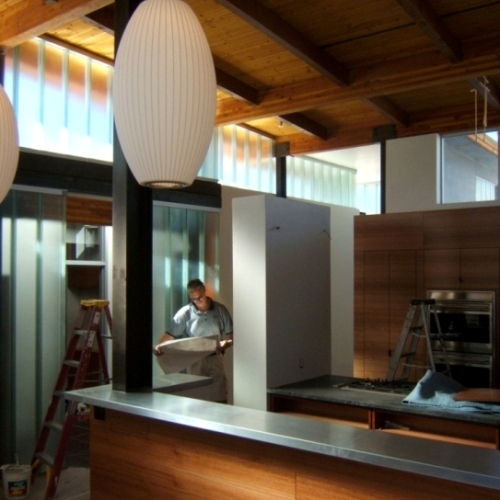 Mick received his General Contractor’s License in 1979 and decided to venture out on his own. that are central to our approach in business. From employee to employee, and from employee to customer, we celebrate diversity and strive to ensure a team-based approach that is collaborative and respectful. MRM Development empowers its people to think creatively, enabling a diverse workforce that excels at their job to serve a broad spectrum of customers and partners. Deliver a consistently exceptional customer experience by adhering to systematic processes, promoting a culture of legal and ethical compliance, and focusing on continuous improvement. Honoring the customer, as our most important asset is what sets MRM Development apart. We work hard to understand our customer’s needs and desires, and how we can provide value to help them realize their vision. You can rely on our vast experience & seasoned industry technicians. We at MRM Development can solve a range of challenges to meet the needs of our customers.